Looks like early August, we’ll be packing our swim suits, flip flops and sunglasses and set our sat navs to Tolmin, Slovenia. 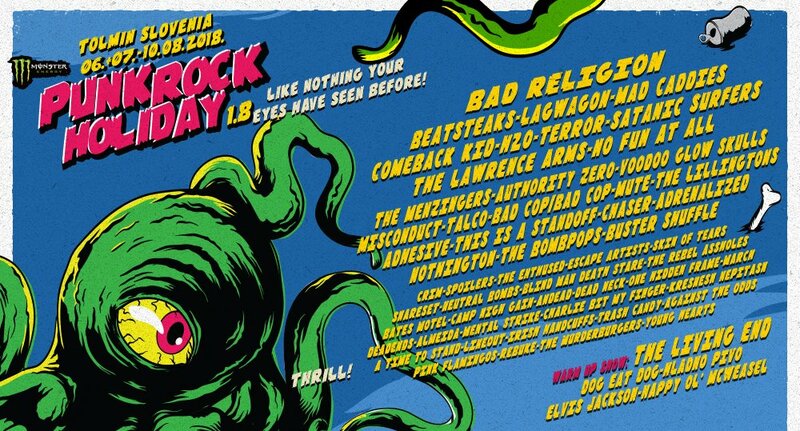 We’ve been added to the insane lineup of Punk Rock Holiday​ 2018! Good to see CAMP HIGH GAIN​ is playing as well! We also have some tickets to sell. If you’re interested, check out our webshop.